The investigation into Lance Armstrong comes with hard lessons for major leagues like the NBA. The director general of the World Anti-Doping Agency, David Howman, recently singled out the NBA for “gaps” in its anti-doping testing program. He did not get into specifics, other than to say that the league ought to test for human growth hormone. Lawmakers have long called the NBA's anti-doping program soft, and the head of the World Anti-Doping Agency says the program has "gaps." Now that testimony from the investigation into Lance Armstrong has made clear precisely how sophisticated cheaters beat tests, we wonder if the NBA's program can keep up. Doping doesn't help in hoops, right? WADA: NBA program has "gaps"
Given this insight, new questions hang in the air for every anti-testing program: Would your program catch athletes using these methods? Is your testing tough enough to defeat sophisticated cheats? For the NBA, the topic is particularly sensitive. Basketball has had only a few failed doping tests -- none from top-tier players. Many assume the sport is generally clean. But the testing program has never been a model. In 2005, lawmakers called the NBA’s anti-doping testing program “inadequate,” “pathetic” and “a joke.” A similar hearing in 2008 involved similar critiques, and sharp back-and-forths. Although the league has stepped up their program, federal intervention has been threatened time and again. Meanwhile, the testing community elsewhere has been scoring wins. Fans often have shrugged off anti-doping programs, convinced they’d never catch up to the cheaters. There is an increasing body of evidence that aggressive testing, including techniques that are not part of the NBA, NFL or MLB programs, has made a difference in cycling. Even though cyclists as a group have extensive doping know-how, the fastest riders in the world are riding measurably slower than they were at the peak of the doping years. It appears the sport is cleaner, and the cyclists credit testing advances as a major reason. Evidently there is a better way. Any league that seems serious about catching dopers would have to take note -- which the NBA has not done. All players are subject to four (4) random tests each season (from October 1 to June 30). All players are also subject to two (2) random tests each off-season (from July 1 to September 30). All such tests are scheduled and conducted by an independent, third-party entity and are without prior notice to the player. The NBA and the NBPA are not involved in the scheduling of any tests or the selection of players for testing. More importantly, if the NBA receives information a player may be cheating with drugs, that player can be brought, within 24 hours, before an independent medical expert with the power to order a rigorous course of testing. There is also a special course of treatment that allows NBA drug offenders to turn themselves in voluntarily, and as long as they abide by certain protocols, avoid punishment. The two offseason tests are an important addition, but the program is still far less comprehensive than what other sports have. All major North American leagues have more timid testing than, say, the Olympics or cycling for a particular reason: Their testing programs are negotiated with powerful player unions who are concerned about their members’ privacy. Many of the details of the NBA’s program also are kept quiet for the same reason -- the union and league have agreed, in writing, to keep much of the program confidential. Not only did the NBA and the players' association decline to comment for this story, but even the identity of the NBA staffers and outside contractors who implement the program are generally kept hidden. The NBA’s anti-doping program is run by Stephen M. Taylor, M.D., who reports to NBA executive vice president and general counsel Rick Buchanan. The specimens are collected by an organization called the National Center for Drug Free Sport who count MLB, the NFL and the NCAA among its clients. The tests are conducted by a respected and WADA-certified lab in Montreal called INRS, headed by Dr. Christiane Ayotte. The NBA’s first confirmed performance-enhancing drug cheaters received five-game suspensions. More recently, 10 games has been the norm. As of the 2011-2012 season, the punishments have been ramped up. For a first doping offense, it’s a 20-game suspension. A second failure calls for 45 games. A third positive test results in banishment from the league. In contrast, a first failed test for “drugs of abuse” -- cocaine, speed, heroin, LSD and the like -- results in instant disqualification from the league. In some cases, most recently Chris Andersen, such players are later reinstated. Marijuana has its own more lenient standards, where a first positive test results in treatment, a second positive result means treatment and a fine, and third positive test calls for a five-game suspension. WADA’s David Howman asserts there are “gaps” between what the NBA does and what catches sophisticated cheaters. By talking with experts, digging through public records, looking at what WADA recommends in other sports and poring through books on the matter, one can identify shortcomings in the NBA’s program. Question: Should the NBA run its own testing program, or bring in outsiders? The argument against a league policing itself is the argument against Wall Street or any other business policing itself -- there’s questionable incentive to catch anybody. Positive tests are not generally seen as being in the league’s interests, so how hard a program would be created? In six years, Baccus testified, 23 NBA players tested positive for performance-enhancing drugs. All but three of those results were, at Baccus’ discretion, discarded. Evidently the independence of the program -- the third-party specimen collection and testing -- does not keep league staffers from having discretion to handle positive tests quietly and as they see fit. That is precisely why transparency, the central tenet of most cutting-edge programs, is needed. As for those 20 tests the league set aside, Stern and Baccus both say pseudoephedrine -- or Sudafed, as known commercially -- is one cause. If it’s found that a player simply took the over-the-counter drug for a head cold, they are understandably let off the hook. League sources also point out something that Baccus did not: Some of those positives were from players who left the NBA before the test results came back from the lab. In the years in question, the NBA only tested players in training camp, when rosters are fat with prospects. It takes weeks to get the test results. By the time the league received them, some of the players already had been cut, making them beyond the reach of the NBA’s program. Baccus essentially said he did not think performance-enhancing drugs would help in the NBA, and had thrown out nearly 90 percent of the league’s positive tests in six years. This may mean nothing other than that the league is exercising due caution in avoiding false positives. It also may mean even less, now that the program has a different medical director in Taylor, although sources say Taylor still has the discretion Baccus described to discard positives. This uncertainty bolsters the case of those who suggest the program needs oversight from an outside body such as USADA. Leagues running their own testing programs have always been fraught with potential conflicts of interest. Doing so in secrecy, and with league officials able to discard large numbers of positives, only compounds the risks. The challenge for anti-doping testers has always been tough: Figure out who has been using an ever-expanding list of performance-enhancing drugs -- some of which don’t even show up in tests -- using little more than blood and urine samples. Now imagine doing all of that with one arm tied behind your back. That’s what happens in the four major North American professional leagues. Strong player unions have succeeded, with minor exceptions, in banning blood tests on the grounds they are too invasive. Meanwhile, the major new doping concern is human growth hormone (HGH) -- which the leagues have banned, but don’t test for, all the while telling Congress and others that they’ll start testing for it when there’s a reliable urine test. Meanwhile, in the Olympics and in other sports, the blood test for human growth hormone is in heavy use. There are signs a longstanding ban of blood testing will end soon. Under pressure from Congress and others, the major leagues and their unions all say they’re working toward accepting blood tests -- the NBA and players' association have formed a committee to explore the issue. But blood testing still is not part of the program in the three most prominent leagues, creating a major challenge for those trying to catch the cheaters. Meanwhile, anecdotally, HGH has become not only a favored drug of athletes, but also of actors, movie executives and the wealthy. Players socialize in circles where HGH, testosterone and other “anti-aging” remedies are increasingly common. Not testing for it is becoming indefensible. "The testing that is known as the biological passport … really narrowed the window on how much you could fluctuate your blood profile for example. ...I felt like the amount you would gain from doing it just didn't outweigh the stress and the risk." Biological passports are a different approach to anti-doping efforts. An athlete’s blood profiles are assessed year-round, looking for the kinds of fluctuations that come with cheating, whether with blood boosters, anabolic steroids, stimulants, among others. When oddities arise, the athlete’s blood can be subjected to further scrutiny, including more expensive batteries of tests that do a better job identifying chemical supplements. Biological passports have generally been seen as useful in endurance sports, and experts suggest they are the future of drug testing in all sports. For instance, working with WADA, soccer’s governing body, FIFA, plans to have biological passports in place before the 2014 World Cup. Biological passports are built on repeated blood tests, though. The NBA has not been able to convince the players' association that any blood tests are acceptable, let alone year-round protocols. A lot of testing programs were developed with anabolic steroids in mind. The way those substances were traditionally used, cheaters would be “glowing” -- that is, carrying the drug in their systems in a way that would result in a failed test for days or weeks on end. The drugs, and their delivery, have come a long way. Now, some simply can’t be detected. But others are taken only in tiny amounts -- microdoses -- that clear the body in a matter of hours. “It took the drug-testing authorities several years and millions of dollars to develop a test to detect EPO in urine and blood. It took Ferrari about five minutes to figure out how to evade it,” Hamilton wrote in "The Secret Race,” referring to famed doping doctor Michele Ferrari. The solution was to take tiny doses that cleared the system quickly. It works for several different substances. 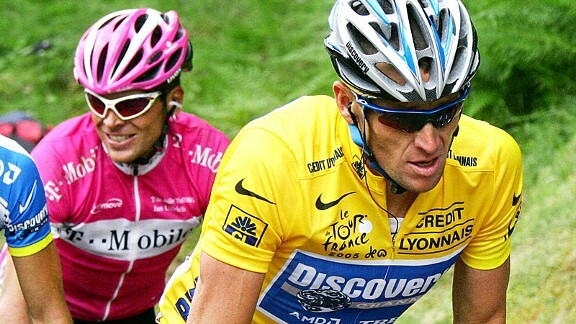 Cyclists who testified against Armstrong explained that one of their preferred methods was to take banned substances like testosterone or the blood booster EPO or in small doses in the evening. The body would process and expel the banned supplements in a matter of hours. By morning, cyclists had nothing to fear from testers. Drug testers in cycling then, and in the NBA now, resolved that testing in the middle of the night was both rude and invasive. Testers would politely wait until morning, which seems reasonable -- except that if you give players eight or 10 hours of test-free time every day, you give microdosers freedom to dope at will. In USADA testimony in the Armstrong case, there was one story of Armstrong, allegedly "glowing" with EPO, passing a test thanks to five minutes’ notice. That’s all the time it took to convince the testers to test a teammate first, meanwhile smuggling a bag of saline into Armstrong's hotel room to admininster to the cyclist, diluting his blood and bringing his hematocrit back to acceptable levels. With sophisticated cheats, the question is: Exactly how much time elapses between when a player first learns he is to be tested and when the test takes place -- and does the player have privacy during that time? The answer in the NBA is that it can be a while. The way the NBA’s testing program runs, neither the NBA nor the NBPA has advance notice of which players will be tested on any given day. Those names emerge from a computer at the National Center for Drug Free Sport, the contractor that collects samples for all of the major North American leagues. That sounds reasonable, but would never defeat the kind of conspiracy we’ve learned about from cycling. The trainer is a close colleague of the player whose job includes seeing to it the player performs his best -- any anti-doping cop would have to play defense against the trainer helping players pass. The offseason program is even less stringent. The protocol the NBA negotiated with the players' association calls for a tester to arrive in the city where the player is supposed to be, then phone the player and arrange to meet. What cheating athlete wouldn’t love such polite advance notice? That means the player is guaranteed some time alone before seeing the tester. One last unknowable element: What if players do a sloppy job of reporting their whereabouts and are in fact not in the city when the tester arrives? By rule, that counts as a refused test, and therefore as a positive. But it’s hard to know how rigorously that rule has been enforced: The NBA has been testing players for performance-enhancing drugs in-season since 1999 and out-of-season starting last summer. No one has been punished for missing a test. It’s easy to see how the NBA’s program ended up with these gaps. It is natural and normal for a league and union, working together to make the rules, to want tight control of the testing process and to respect players' privacy. "For us, it wasn’t like a race at all. It was more like a big game of hide-and-seek played in a forest that has lots of good places to hide, and lots of rules that favor the hiders. Tip 1: Wear a watch. Tip 2: Keep your cell phone handy. Tip 3: Know your glowtime: how long you’ll test positive after you take the substance. What you’ll notice is that none of these things are particularly difficult to do. That’s because the tests were very easy to beat. In fact, they weren’t drug tests. They were more like discipline tests, IQ tests. If you were careful and paid attention, you could dope and be 99 percent certain that you would not get caught."